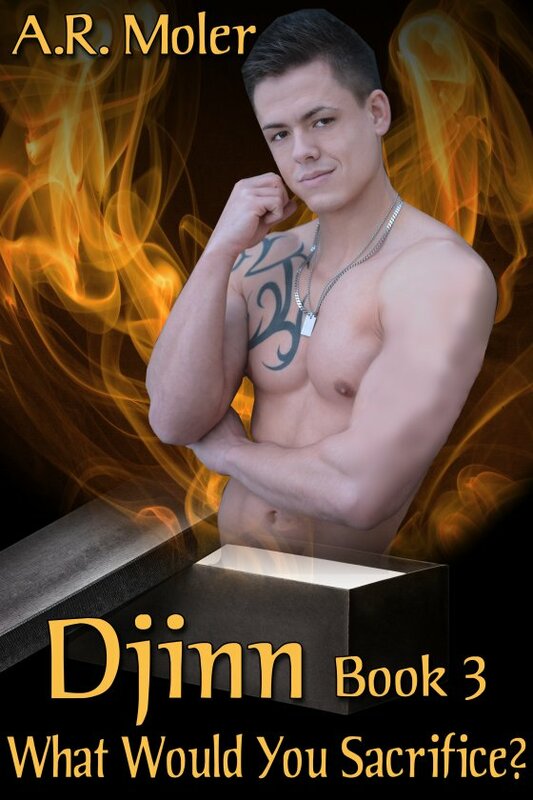 Djinn Book 3: What Would You Sacrifice? by A.R. Moler is now available! Dale Edinger is still cleaning up the hoard he inherited from his Aunt Matilda, and having an interesting time of it. He’s also learning to handle his own magic from his mentor, a dragon called Summer. And he’s falling in love with the djinn Riadh. Riadh is the big worry for Dale. He’s already turned down one offer to purchase the djinn made by an ethically challenged, ego-driven black magician named Archimedes. Whoever owns Riadh’s box, owns Riadh. Dale doesn’t want to own Riadh, but destroying the box would destroy Riadh, too, so he isn’t quite sure how to fix the problem. When Riadh’s box disappears, Dale knows who has it … and Riadh. It isn’t difficult for Dale to track Archimedes to his lair. But can Dale save Riadh without destroying him?